Moved by the plight of children from Syria, you may be be aware that last week the academy organised a charity collection of essential items to help Syrian refugees. Running alongside this, the Principal, via SOS Children, is contributing a monthly sum of money to sponsor a Syrian child on behalf of the academy and we are pleased to introduce Olaq to you. 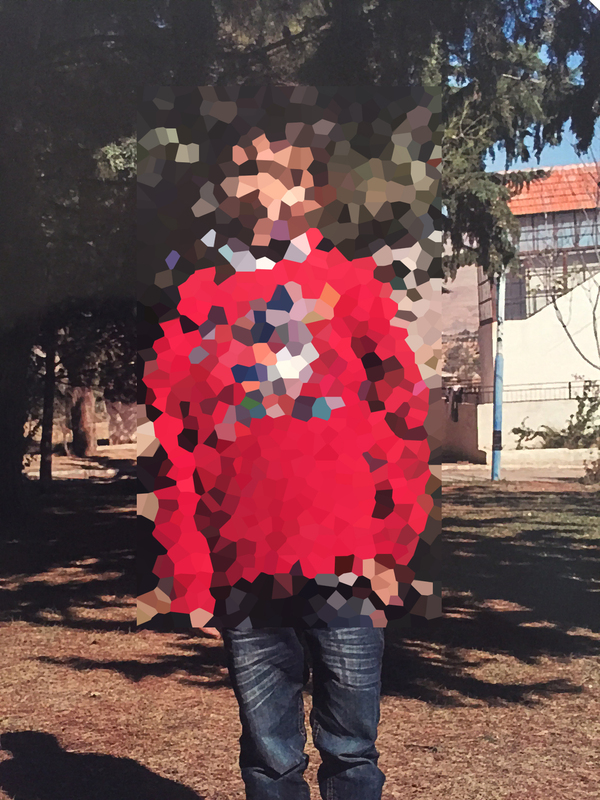 Due to privacy requirements as laid out by SOS Children’s Villages and fully respected by Winsford Academy, we are using pixellated imaging and pseudo-names to protect the identity of the child we have sponsored. It gives us great pleasure to introduce Olaq. Currently displaced but being cared for inside Syria at a SOS Children’s village. Olaq is never bored! This is probably due to his vivid and boundless imagination, combined with plenty of energy. Olaq enjoys spending time with his younger SOS brothers and sisters, because he really loves making them laugh. Olaq, and his older brother, were welcomed to SOS Children’s Village Qodsaya in June 2009. He has a kind and compassionate nature. Olaq is very responsible with school work, probably because he loves going to school. Every morning he is up before everyone else and races out ahead! However, he does also enjoy his free time, which he prefers to spend outside, playing catch, hide-and-seek or football with his friends. Sadly, the whereabouts and identity of his parents is unknown. After authorities tried in vain to find the identity or fate of his parents, the process for admitting him into the SOS Children’s Village was started. Now he has found a permanent home where he can grow up safely, go to school and receive an education. With the academy’s help, Olaq will be able to enjoy a secure, happy and healthy childhood at SOS Children’s Village Qodsaya. There he will be properly cared for by a specially trained foster mother and have a stable and loving family background for as long as he needs it. Over the longer term, he will have access to a good level of schooling, as well as job and vocational training. All of this will help to ensure he has a firm foundation for adult life. In assemblies this week, students will be introduced to Olaq and the academy will be developing our relationship with Olaq through letter-writing.